Daylight replacement bulbs bring natural "sunshine" into your home! Clear, glare-free lights can brighten mood, make colors appear sharper and reduce eyestrain. Use these bulbs with our daylight floor lamp and beat rainy day blues! 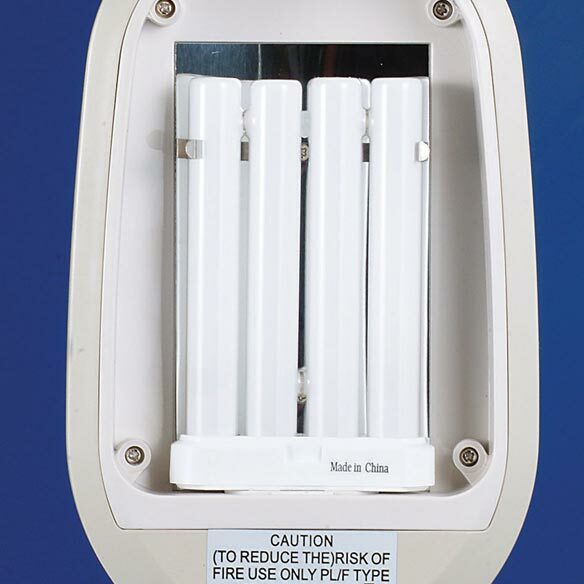 The 27 Watt bulbs, equal to regular 150 Watt bulbs, burn up to 5000 hours! UL® listed. Set of 2. It is especially good for aging eyes. lOVE THE DAYLIGHT BULBS AND NEEDED REPLACEMENTS FOR MY bELL & hOWELL LAMPS. Already purchased this along with both floor and table lamps, Love them all, great purchase.